Natalya Volokitina and Taisiya Matyash have violatied judges' oath. 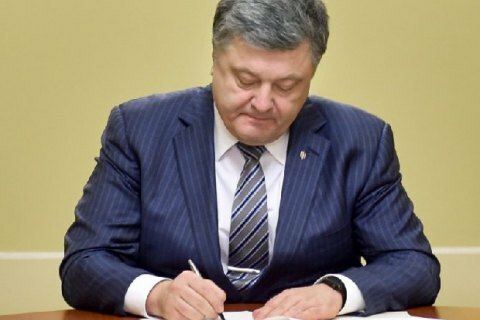 President Petro Poroshenko signed a decree that dismissed two Ukrainian judges over violation of oath, presidential press service reported on 30 September. The High Council of Justice asked the president to dismiss a judge of Kyiv's Shevchenko district court Natalya Volokitina and Taisiya Matyash of Belhorod-Dnistrovsk city district court, Odessa region. It was established that Volokitina in January 2014 in the proceedings against an activist of the Revolution of Dignity has deliberately violated the law when ruled to arrest the defendant, which raises doubts about her objectivity, impartiality and integrity, diminishes the authority of the judiciary and was a violation of oath. High Council of Justice also found that the judge Matyash took biased and unlawful judicial decisions when considering a number of civil cases in 2012-2013. Her verdicts led to improper estrangement of assets, in particular owned by the state. In addition, the president has dismissed six judges in Donetsk, Vinnytsia and Kirovohrad regions, and cities of Kyiv and Sevastopol in connection with the expiration of their term of office and submitted of statements of resignation. Earlier, President Petro Poroshenko dismissed Oksana Tsarevych, a judge of Pechersk district court of Kyiv, on a recommendation of the High Council of Justice issued in March.